100% Pure and Certified Organic Shea Butter. This Product is Guaranteed to be 100% Pure and Certified Organic. 100% Pure and Certified Organic Shea Butter has a rich, luxurious texture that penetrates deep to condition and moisturize every type of skin. Shea Butter is derived from the tree nuts of the karite trees that grow in Western and Central Africa. It is a wonderful emollient that's perfect for daily use. Can also be used as a scalp moisturizer. This product is naturally hard and color/texture will vary depending on temperature. This product will melt when warmed above body temperature and becomes solid again when cool. This is natural and many may affect the appearance, but will not harm the quality of the product. This warming and cooling may produce fat crystals affecting the color/texture making it appear grainy or uneven. If hard, shea butter can be softened by placing in a pan of hot water for 30 minutes or microwaved until soft. Moringa Oleifera, commonly known as Moringa is considered the most Nutrient rich plant found on the earth. Moringa contains 90 nutrients and 46 antioxidants. Good news for finding your inner spring. 100% pure and quality L-glutamine to aid muscle retention and muscle building. 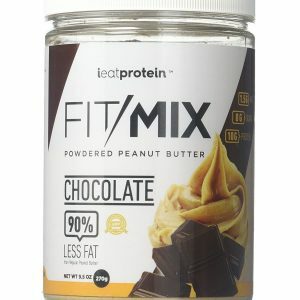 FitMix is an Evolution of Peanut Butter with Double the Taste and Double the Protein than any other powdered peanut butter.